Conversation Cafe is a free, community event designed to be an inter-active, comfortable and judgment-free experience that offers weekly opportunities for people to come together and participate in normalizing difficult and challenging conversations. Conversation Cafe is designed to bring music, coffee and conversation together in a new and exciting way! When visiting Conversation Cafe your experience will begin with a brief presentation of the weekly topic followed by live entertainment for 30 minutes and then open mic for guests to come up and share about the topic or anything that is on their heart! 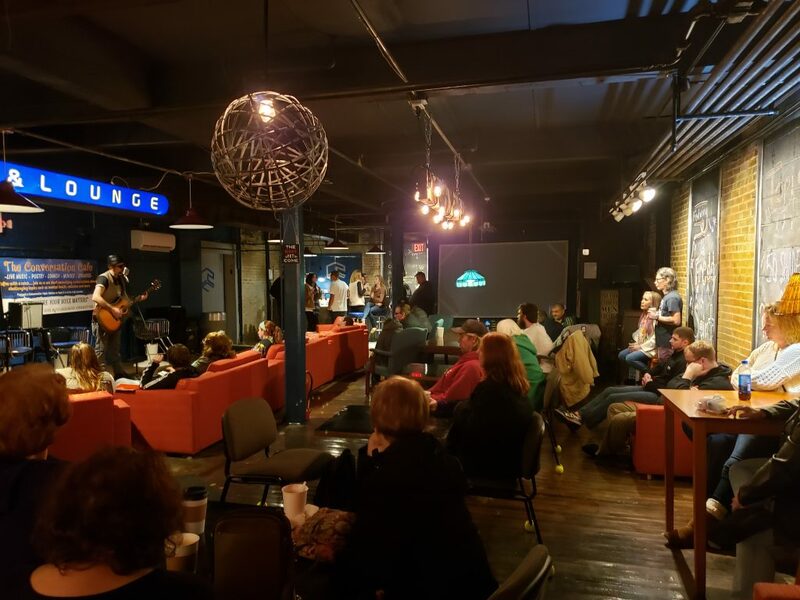 Conversation Cafe provides the stage for topics such as; Mental Illness, Addiction, Trauma, Suicide, Overdose, Relationships, Gender, Religion, Race and so much more! Conversation Cafe, Giving Hope a Voice and Ending Stigma!